Graphics FeaturesI hope the map will feature the skyline of Perth at night reflected in the Swan River below. Swans feature on the City Emblem, hence these are used in the legend. Saling and cycling are two big pasttimes in both Perth and Fremantle, it is a very outdoors place - indeed you might recall the 1987 America's Cup was held in Fremantle. I was in NZ at the time cheeering in a social room with a Fosters beer in my hand. Last edited by cairnswk on Mon Dec 30, 2013 2:39 pm, edited 20 times in total. Love it, will you bring the rest of the map pack out to play? Well, the gameplay seems fine... the graphics, meh. I think, you should start from scratch with the graphics for this one... There's nothing in the current graphics that really conveys the feeling of Australia to me. koontz1973 wrote: Love it, will you bring the rest of the map pack out to play? Well London is already claimed, although i've still got others in the classic series,,,but i feel that would be getting too greedy. I'll bring the Greater Sydney map out as Classic Sydney though. natty_dread wrote: Well, the gameplay seems fine... the graphics, meh. Yeh thanks Natty, remember though, since this map represents Perth, it is meant not to convey Australia, but the city as you did with London. And yes, i agree about the graphics so perhaps i will convert to another software package rather than coreldraw. cairnswk wrote: remember though, since this map represents Perth, it is meant not to convey Australia, but the city as you did with London. Anyway, I think if you did something similar as you did on Pot Mosbi (which I think is graphically one of the best I've seen from you) but adapting the style for Perth, bringing out the unique aspects of the city, I think that could bring good results. cairnswk wrote: Well London is already claimed, although i've still got others in the classic series,,,but i feel that would be getting too greedy. 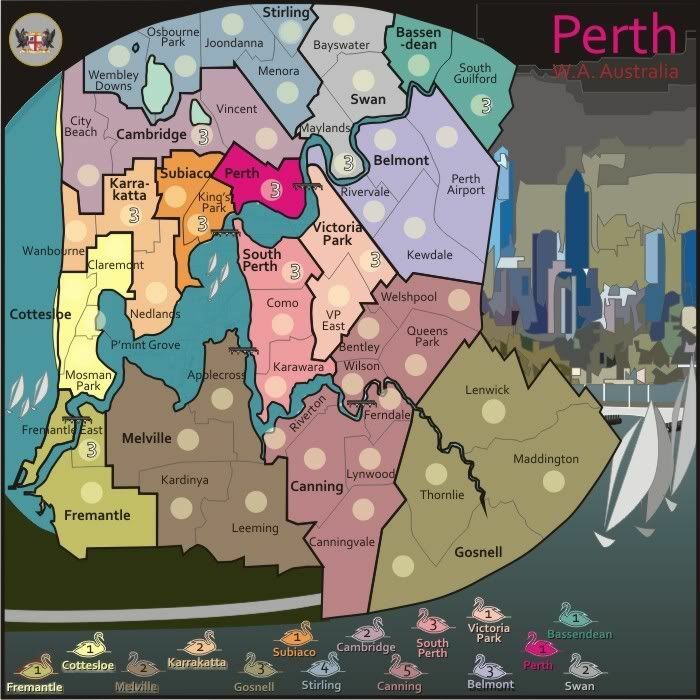 As for the sense of this not being a Perth map, that may be because of the classic city theme that cairnswk used for the map pack. By removing the lovely border and making the city images larger and changing the border to an Australian theme would really help. Been looking at this city since I started Jakarta, and an image like you have for New Zealand would really help a lot. Not the style but the shape. I know you are getting lots of opinions so I will leave you with these thoughts. Looking forward to the next image. Have you been to any Australian cities like Perth? And is there any typical Australian city since most cities have their own uniqueness. Of course the current version does not reflect the city properly, just clam down and see where this goes eh?! Let's get it through drafts and gameplay first. 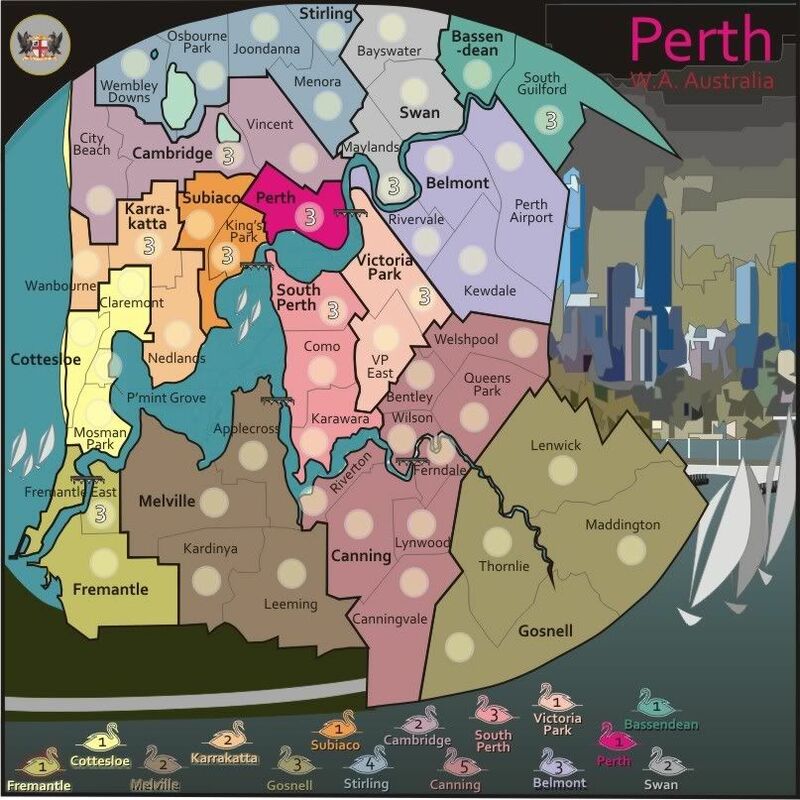 koontz1973 wrote: As for the sense of this not being a Perth map, that may be because of the classic city theme that cairnswk used for the map pack. By removing the lovely border and making the city images larger and changing the border to an Australian theme would really help. Not sure i understand "not the style but the shape" of New Zealand ref. Can you expand on that? Sure, New Zealand is a tall thin map instead of square. koontz1973 wrote: Sure, New Zealand is a tall thin map instead of square. Ah... but ideally shouldn't we try to get maps to fit on people's screens rather than have them scroll a lot, and that will happen with NZ. I know the size issue may be an issue but if we keep making the same, it is just the same. It was just a thought. koontz1973 wrote: I know the size issue may be an issue but if we keep making the same, it is just the same. It was just a thought. Sure, but making something different just for the sake of making it different is not really sensible either. This is still the basic map, but i think i'll take this in a nightly/dusk direction. The grx shows the skyline of Perth in front of the Swan river with the bridge and sailing happening. The bottom left will be developed to show a cycling path. This is much better than the previous version. natty_dread wrote: This is much better than the previous version. To start the gameplay discussion...i've added some neutrals to the map above. These are in regions that have less than 4 terrs and are obvious for gameplay balance. These graphics are pretty ghastly (I'm sorry for any offense). 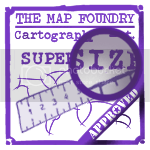 The map is very two dimentional, which don't get me wrong - could work like a road map, however it just isn't working. And the colours are really, really awful. Nesoi wrote: These graphics are pretty ghastly (I'm sorry for any offense). 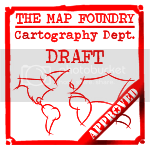 The map is very two dimentional, which don't get me wrong - could work like a road map, however it just isn't working. And the colours are really, really awful. Nesoi, thanks for your comments. I guess not everyone is going to like these colours and perhaps they will change if i come up with a better scheme...do you have any suggestions that might suit this city (if you've been there) or that you might like to see. I would ask that you give consideration to inner Perth having some gardens, but for the most part the surrounding countryside is quite dry mulga savannah type country. I don't think the graphics are ghastly they just distract you from the map. My eyes have problems looking at the map because they keep returning to the curves and the city in the background. It just difficult to concentrate on the map because my eyes are so distracted. Nola_Lifer wrote: I don't think the graphics are ghastly they just distract you from the map. My eyes have problems looking at the map because they keep returning to the curves and the city in the background. It just difficult to concentrate on the map because my eyes are so distracted. Thanks Nola_lifer. I understand what you are saying. There are two things that can be done regarding that. The point up to the top-right of the curve is a leader which draws your eye to the city...that can be cut. The other thing, is that after the city in completed in colour and other bits, it can have reduced opacity applied to make it less dominant on your eyes. My main concern with this map is the swans, or to be exact how similar in colour they are. Hard to get an overview of what swan belongs to what bonus region. I think you should either change the colour of the bonus regions or get rid of the swans. I prefer the first option because I like the swans ! Gillipig wrote: My main concern with this map is the swans, or to be exact how similar in colour they are. Hard to get an overview of what swan belongs to what bonus region. I think you should either change the colour of the bonus regions or get rid of the swans. I prefer the first option because I like the swans ! They have names on them. It isn't that hard to figure out. It really doesn't matter much that they have names on them! On a fairly small and standard map like this you shouldn't have to closely study the map and read all the text to see what value each bonus region has. It should be obvious from the first look at it! Too similar bonus colours in combination with an unorthodox legend makes it a bit harder than it should be! I'm somewhere around this boat I think. The perspective is strange to my eyes.